Arone Meeks has had both a traditional and formal education, having been taught by his grandfather and other relatives before going to study at the City Art Institute in Sydney. 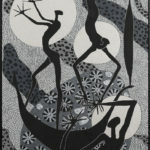 He later returned to Queensland to study with various tribal Elders, including those of the Lardil people of Mornington Island. Meeks values this combination of training and experience; his work employs both traditional images and themes arising out of this concern with the issue of land rights, sexuality, cultural values and belonging to place. 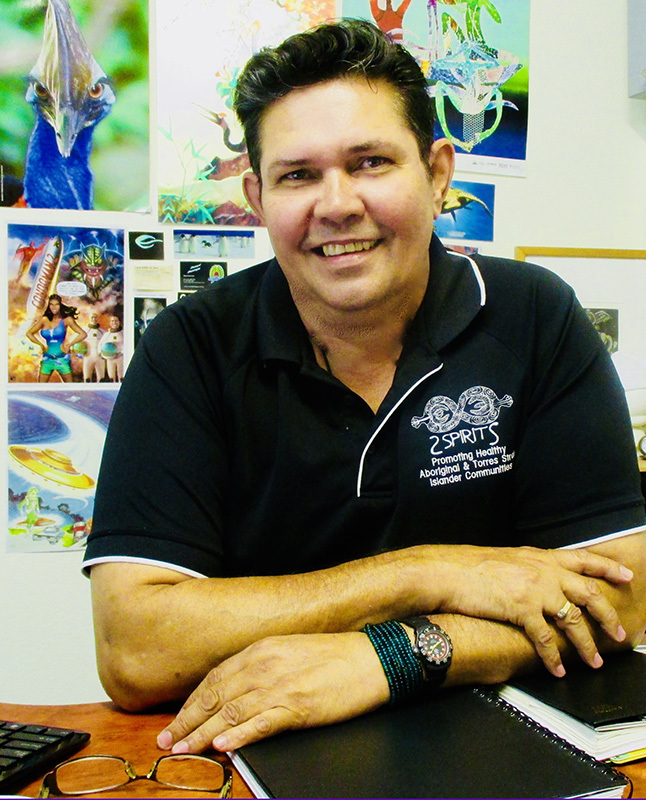 A founding member of Boomalli Aboriginal Artists Co-operative, he won an Australia Council Fellowship to study in Paris and went on to exhibit throughout Europe and North and South America.